Amnesty International calls on all to put pressure on Russia to release Danish Dennis Christensen. It says Amnesty international Denmark secretary general, Trine Christensen. Dennis Christensen was in the beginning of February, convicted of having practiced as a Jehovah's Witness in Russia, which is illegal. Here received the 46-year-old dane, a sentence of six years in prison. - We determine that, we can make a difference. So we can get a reduced sentence of six years in prison for practicing his religion, that everyone should be allowed to, says Trine Christensen. The 46-year-old dane has been imprisoned since he may 2017 were arrested during a bible reading in Orjol, which is located 400 kilometers south of Moscow. 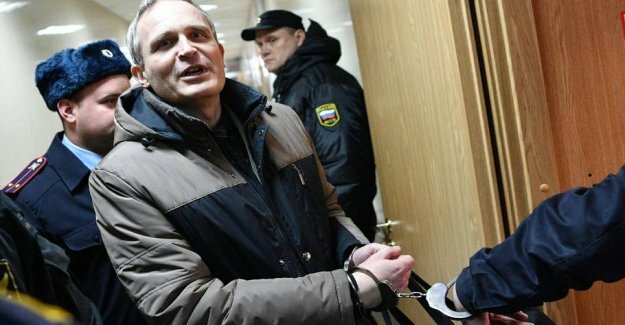 the Arrest came a month after the Russian supreme court had imposed a ban on the Jehovah's Witnesses. It means that the heathen is on the same list as neo-nazis, skinheads and terrorsympatisører. Trine Christensen believes that there is a good chance that Russia will change his mind. - We know that the maximum pressure from the citizens, the UN, the EU or governments may create a pressure on the Russian authorities. - It can reduce an unfair punishment, and so the aim is to get Christensen free and get the extremism law revised, so that it will not be used against people who are just exercising his religion, " says Trine Christensen. Amnesty international is doing about 300 global actions annually. It is one of the first times that the organization is doing it to rescue a dane.